Apple, Samsung, Nokia, Motorola, Dell along with any tablet or mobile manufacturing company, the one thing that is common among all of them is Gorilla Glass. The touch screen glass is made up of Gorilla glass. These days, we have taken the scratch-proof touch screen for granted, due to their ubiquitous nature precisely because they are ‘EVERYWHERE’. 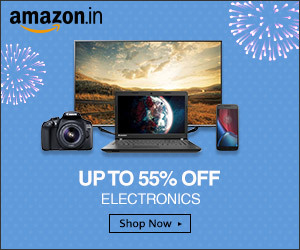 Every electronic device, worth its salt, slaps a slab of the heavy-duty glass on its surface. From iPhones to new generation Android devices to various mainstream tablets, everyone shines because of that slick piece of glass. Apparently, there’s an interesting story behind the development of this toughened glass. A company named Corning, came up with a project called “Project Muscle” in 1960, with an aim to develop chemically strengthened glass and they were able to build one successfully too but found no practical use for it except in race cars, where weights had to be reduced, and hence the product went on the shelf. Then, in 2006, Steve Jobs and Apple after getting frustrated over scratched screens (made of hard plastic back then) on their iPhone prototypes, mounted a search for a scratch resistant glass for their screens. And they did not have to look far. The then CEO of Corning, Wendell Weeks, was contacted and convinced to start the production of the Gorilla Glass again. Although, Apple have never mentioned which glass they had used or are still using for their mobile devices, the fact is no longer hidden since Corning became public. 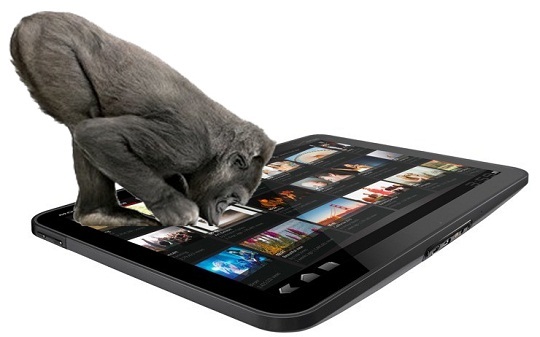 Gorilla Glass is an ‘Alumino-silicate’ glass sheet, which was designed to be strong, thin and light at the same time. Also, the ‘refractive index of this glass is just like that of a normal glass’, and therefore, it provides a crystal clear image and no optical disturbance in the image can be seen. The glass is scratch-proof, has a ‘Vickers hardness’ of 701 Kilogram force per square millimetre (kgf/mm2). The glass is toughened by dipping the piece of glass in a hot tub of ‘molten potassium salt’, heated at a temperature of 400⁰C. The sodium ions, comparatively smaller, leave the glass and larger potassium ions take up the void space. When the glass is subsequently cooled down, the glass compressed and creates a toughened layer of sheet. 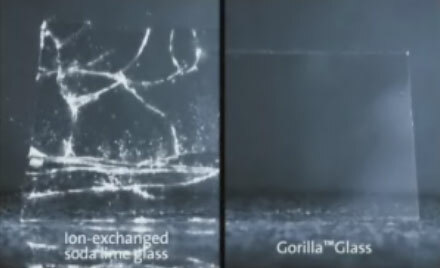 Since, Gorilla Glass is not much different in terms of chemical composition, it is fully recyclable and non-polluting. 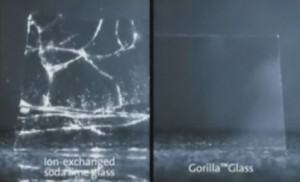 In January this year, Corning announced Gorilla Glass 2 at International Consumer Electronics Show (CES), which will be having even more scratch resistance and strength than before, being upto 20% thinner.